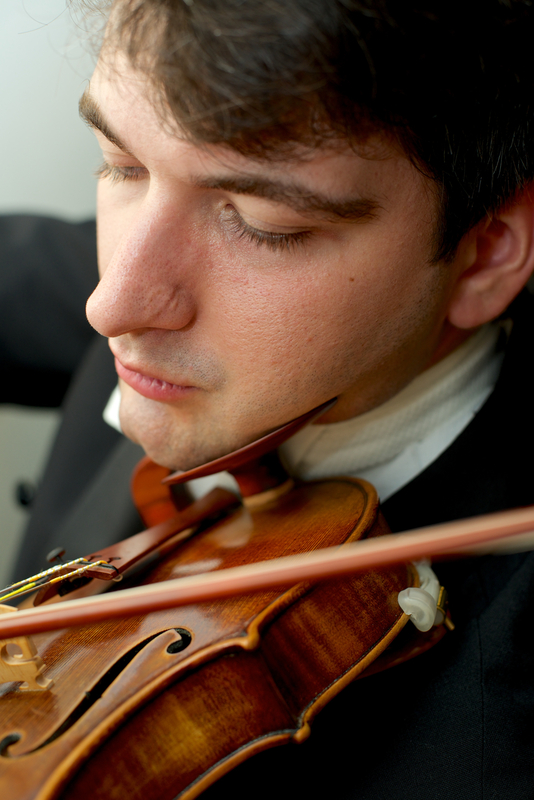 Violinist John Guarino began his violin studies at the age of twelve, under the guidance of violinist, conductor, and community music advocate Edward Simons, at the Rockland Conservatory of Music in Spring Valley, New York. Since then, he has been fortunate to continue his training with Joey Corpus and David Nadien in New York, and most recently with BSO concertmaster Malcolm Lowe. He has also participated in master classes given by Joseph Silverstein, Arturo Delmoni, Soovin Kim, Sherry Kloss, Judy Tarling, Colin Carr, Phoebe Carrai, Sidney Harth, and Elaine Skorodin. John was awarded a Bachelor of Music from the Manhattan School of Music in 2008, and Master of Music from the Longy School of Music in May of 2011. He has performed with the Albany Symphony, the Cape Cod Symphony, the Portland Symphony, the Cape Ann Symphony, and the Orchestra of Indian Hill. As a concerto soloist, he has appeared with the Brookline Symphony, the New Philharmonia Orchestra, and the Rockland Symphony Orchestra. Other notable performance experiences include a tour of Japan with Valery Gergiev and the Pacific Music Festival Orchestra, a concert with the Red Bull “Artsehcro” at Carnegie Hall, premiering the first-ever Concerto for Turntable, an appearance with Vince Giordano’s Nighthawks at the Iridium in New York, appearances with the “theatrical indie” band Zen for Primates, three tours of Mexico with the Philharmonic Orchestra of the Americas and, with the same ensemble, a concert at the 2008 Gloria Estefan Tribute Concert hosted by the Latin GRAMMY® Awards in Houston, Texas, accompanying Gloria Estefan, Patti LaBelle, Jose Feliciano, John Legend, and Carlos Santana. John plays a violin made in 2012 by Andrew Ryan of Providence, Rhode Island, and a bow made in the same year by David Hawthorne of Cambridge.